1981 movie "The Road Warrior"
Every time I see Mel Gibson, I am taken back to another place and another time, to the first instance that I saw him. It was a long time ago, close to 30 years, at a relic of the past known as – the video party. Getting together with your family, or a bunch of friends, to watch a movie is still pretty common. But, back in the early 1980s, it was still a big deal. As the decade opened, VCRs (or video cassette recorders) had just come out, and were still very expensive, coming in at more than $1,000 for the first ones. Movies were not as easily accessible as they are now either. They played in the theatre then, a year or more later, they made it to network TV. Later, they began to appear on tape but that was a slow process at first – until the industry realized how much money they could make. Look at how quickly you can see them now from first run, to second-run theatres, to DVD or online in a matter of months. Most people first used VCRs by renting them, which you could do at the increasing number of video stores, and later from convenience stores like 7-11, and Red Rooster in beautiful, downtown Coaldale, Alberta. My friend Shawn was having a birthday party and invited me and a couple other guys. His mom made the best pizza, then the birthday boy opened his presents. He loved science fiction, so I got him a brand new copy of Ray Bradbury’s “The Martian Chronicles” from Coles Books in the Woodward’s Mall in Lethbridge. After that, we migrated to their basement for the main feature: a movie. 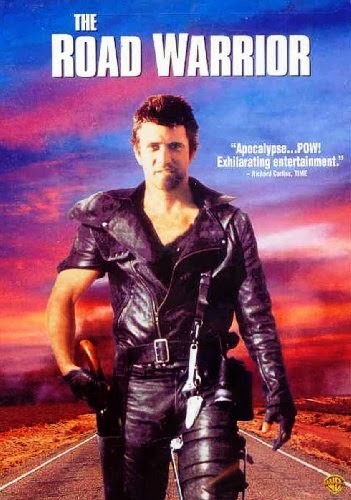 We had all heard about “The Road Warrior”, this post-apocalyptic revenge flick from Australia, but none of us had seen it. Shawn’s mom brought down tons of popcorn while his dad set up the VCR. It was the size of a suitcase, and as a heavy as one full of clothes. It was still early days, before you could just slide the tape in and press play, so you had to load the tape from the top and push it down. The movie was awesome, and I was really impressed with Mel Gibson. A while later I was riding the school bus with my friend Mat when he told me “The Road Warrior” was the sequel to another movie: “Mad Max”. It sure would be cool to see that, I thought. I would get my chance. About a year later, Mat was celebrating a birthday too. On the menu this time was a double feature: “Mad Max” and “The Road Warrior”. And there was more pizza and presents. Now, it all made sense to me. Max had been a highway patrolman who first saw his partner burned up, then his wife and child killed, by a motorcycle gang. That sent him into a rage where he exacted revenge by hunting down the gang’s leaders. 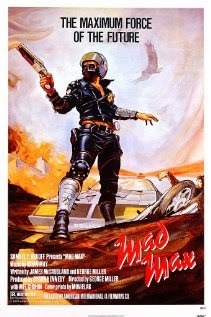 “Mad Max” ends with the title character driving off into the Australian Outback. We pick up his trail in post-apocalyptic Australia where he encounters a settlement in the Outback being harassed by marauders. Again, Max intervenes. Now it all made sense. A sequel came out when I was in Grade 11, hyped up by Tina Turner’s song, “We Don’t Need Another Hero”. Oddly, after seeing the first two movies and enjoying them as I did, I never saw “Mad Max III: Beyond Thunderdome”, not to this day. Apparently there is another sequel planned for 2015. Maybe then I’ll do a “Mad Max” marathon. However, what “Mad Max” did do, was cement my interest in Mel Gibson. He would go on to a lot of great movies, starting in the 1980s with “The Year of Living Dangerously” in 1982; “The Bounty”, “The River”, and “Mrs. Soffel”, all in 1984; “Lethal Weapon” in 1987, and its first sequel in 1989; and “Tequila Sunrise” in 1988. Every time I see “The Road Warrior” I am reminded of a much different time. Those video parties were a chance to experience technology, the grandparents of the DVDs, high definition, and PVRs we take for granted today. Thinking back to those clunky VCRs, noisy tape decks, and limited movie selection, it makes me appreciate what we have today. However, those video parties were not just about the movies and the pizza, they were a chance to escape the isolation of the farm and hang out with my friends. And that’s something I should never take for granted.